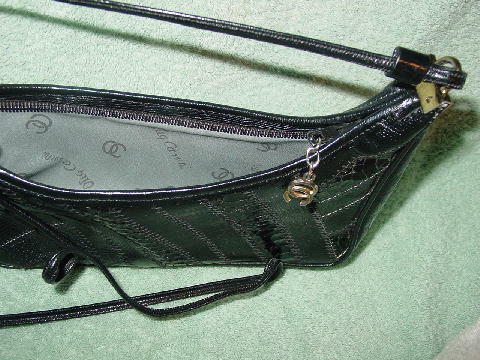 This black leather purse has a crescent-shaped top with a side to side zipper with an Oleg Cassini logo gold-tone pull. The light gray lining has logos and Oleg Cassini in dark gray letters all over it. 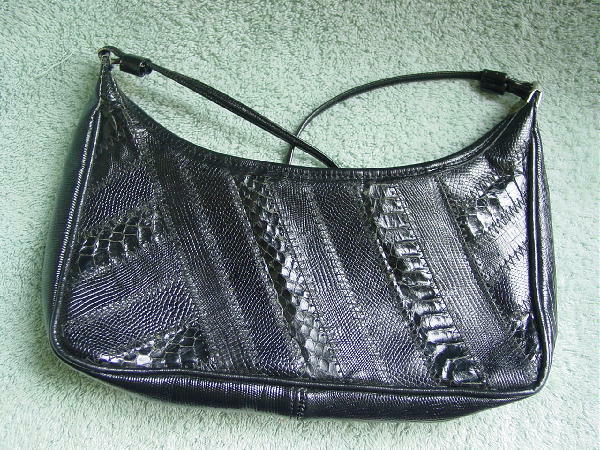 The front has snakeskin strips and lizard strips. 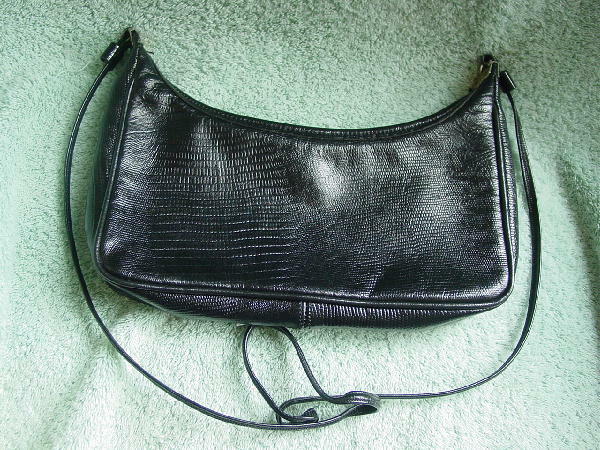 The back, sides, bottom, and 40" long shoulder strap are in an embossed lizard pattern. It's from a New York model's collection.